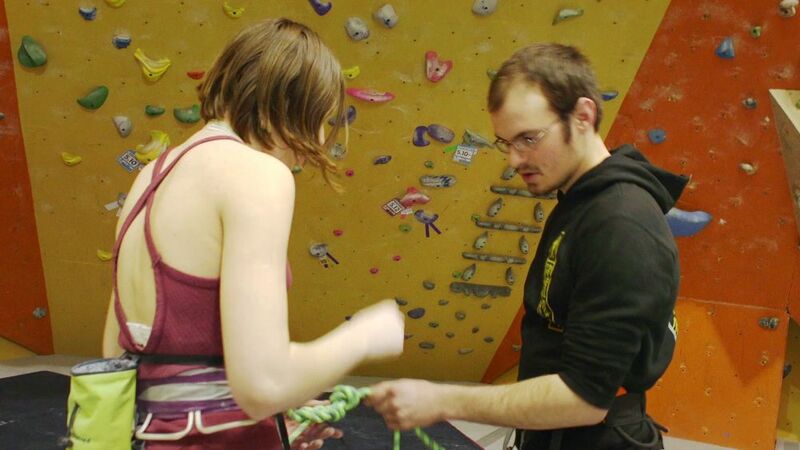 Portland Rock Gym offers instruction for climbers of all ages and abilities. We have a wide variety of clinics and classes to get and keep your climbing where you want it to be! Annual Members receive 50% off our Intro to Climbing, Technique 101, and Power Hour classes. Note: this page is for our climbing classes rather than our yoga and fitness classes. Unlike yoga and fitness classes, these require advance booking and payment to reserve a slot. Get a feel for what climbing indoors is like with up to three hours of top–rope climbing and bouldering. No experience necessary. Perfect for first-timers who just want to check it out. Our instructor takes care of the rope handling, and safety aspects of your first climbing experience. Sign up individually or with a group of your friends. Rental climbing shoes and harnesses included. Eight spaces available for participants 12 years of age or older. Advance reservation required. Learn the basics of climbing and rope–handling. This includes tying a figure–eight knot, climbing commands, and belaying. This one-time, 2 hour introductory class will equip you with the necessary skills to belay a climber on top–rope. Class includes a one–week membership with rentals! Six spaces available for participants 14 years of age or older. Advance reservation required. The Art of Energy Conservation, is not just a class for beginners, but also for more advanced climbers who have never had any formal instruction on technique. 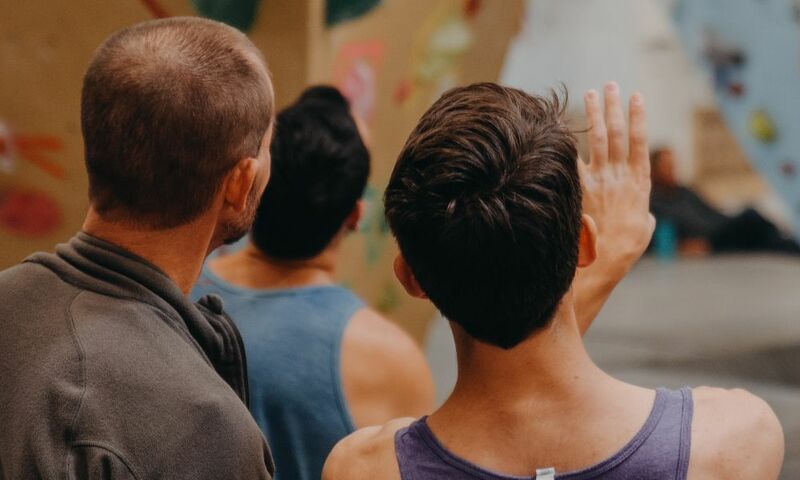 This clinic will help climbers focus on skills to improve the accuracy of foot placement, eye-to-body coordination, climbing without getting too “pumped” and overall efficiency on climbs. Take your climbing to the next level! Now you are ready to improve your climbing even more. This clinic will prepare climbers for how to move efficiently on more overhung terrain, give tips on how to break through ability plateaus, and introduce climbers to conditioning and training. 4 spaces available for participants 14 years of age or older. Advance reservation required. Students will learn about lead equipment and proper equipment care as well as clipping and climbing techniques. All participants will gain experience belaying a lead climber and catching leader falls. We also suggest all Lead Climbing students first complete our Technique 101 clinic (see above), or talk with one of our instructors for more information. Focusing on your weakest areas will usually yield the most immediate improvement. Portland Rock Gym's instructors offer customized, targeted lessons for climbers of all ages and abilities. Previous instructions have included bouldering, lead climbing tactics, visualization, efficiency and training techniques. Top rope and lead climbing private lessons require at least two participants. Lessons start at $65/hour. Each additional climber is an extra $27.50/hour with a maximum of 4 participants. Advance reservation required. One–hour lessons are also available in packages of three, which is $175 (1 person). So you think you can climb?